While traveling through the Lax airport, you should not get all worried about finding suitable onsite LAX airport parking. This is because 105 Airport parking is a privately owned parking facility that provides its clients with affordable rates and security for their cars. When you have to make a decision between offsite and onsite parking options, there are several considerations that you should make. It is always advisable to strive and make the most informed decisions since these will enable you to save on costs. One advantage of parking your car at the 105 Airport parking is the fact that you get to avoid all the traffic at the Lax Airport. It is worth mentioning that Lax Airport is usually extremely busy hence there is plenty of congestion with many people looking for parking space. 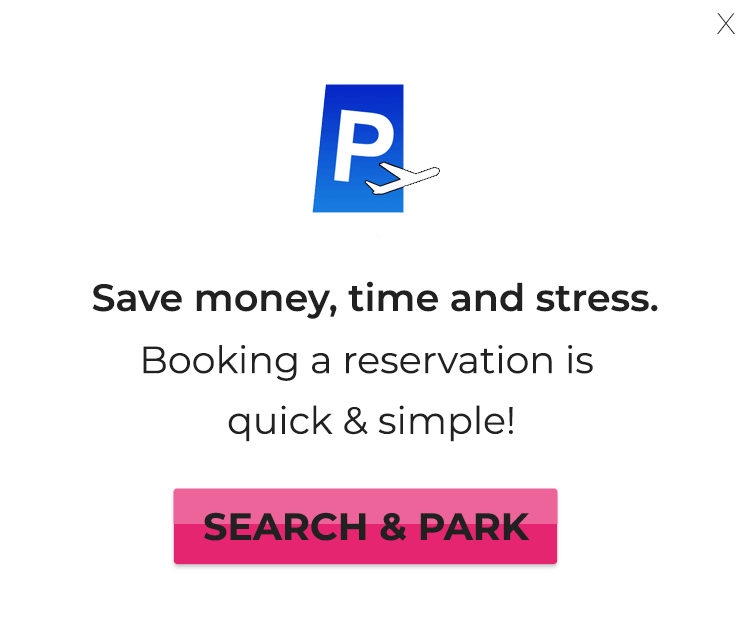 So, why would you want to get inconvenienced as you search for onsite parking space while you can enjoy affordable rates at 105 airport parking, which is situated only five minutes away from Lax Airport. Another reason why you should consider parking your car at 105 Airport parking is the fact that they have an indoor garage that has over 1000 parking spaces. In addition to this, this parking lot is opened 365 days a year, 24 hours a day and seven days in a week. So, you do not have to get inconvenienced even if you have to either take your flight or arrive at odd hours. 105 airport parking is professionally run and they have got a huge fleet of buses that run to and from the passenger terminal to the parking lot every 10 minutes. Take note that clients do not have to pay any extra charge for shuttle services. They have valet parking which is located inside and also the self parking is available indoors on a first come and first served basis. Clients can also enjoy premium services such as car wash as well as car detailing for an extra cost. It is also worth mentioning that the rates charged at most of the offsite parking facilities are lower as compared to those charged at the on site airport parking lots. While your car is parked at the 105 Airport parking, you do not have to get all worried about the security. This is because there is a high level of security that is observed at this parking facility. You can actually leave some valuable items in your car and find them intact upon your return although this is not really encouraged. Travelers are always advised to leave any valuables that they are not traveling with at home. Remember also that while your car is parked at the 105 Airport parking, it is insured against any natural events that may take place such as storms, earthquakes, floods and the like. So, you can rest easy as you travel knowing that your car is totally safe. So, how do you ensure that you get a reservation at the 105 airport parking? Well, it is advised that travelers should make early preparations for their travel. They should ensure that they make their reservations in advance in order to avoid last minute inconveniences especially during the peak seasons. This can easily be done online. You simply need to go to the 105 Airport parking facility website and select from the parking options available. Once you have determined your requirements, it becomes easier to make an informed decision. This will enable you to get the best deal possible for your parking. Usually, majority of the off site parking facilities have reward programs where you earn points each time you make a reservation. Once the points have accumulated up to a certain level, then you can enjoy free parking or receive any other gift as they may deem fit. Such reward programs encourage customer loyalty as well as repeat purchases. Therefore, when you plan to travel from Lax Airport, you can consider making parking reservations at 105 airport parking lot. By doing so, you will assured of the safety of your car while traveling. Also the affordable rates offered at this parking facility make it a good option. If you don’t like to rely on another person or service to get you to the airport on time, you may find it more comforting to drive yourself and use ATL long term airport parking services. Taking your car to an airport car parking lot means that you don’t have to worry about the shuttle getting you there on time. You won’t have to wonder if the cab you arranged last night will arrive. Driving yourself to the airport has so many advantages. Not only are you assured of getting to the airport, but you don’t have to worry about your ride back either. Airport parking services are affordable, with lower rates especially for Long Term Airport Parking. Many services are provided for your peace of mind during your trip. The cars are usually under 24 hour surveillance for security. You can sometimes choose covered parking or even have car was and detailing services done while you are away! 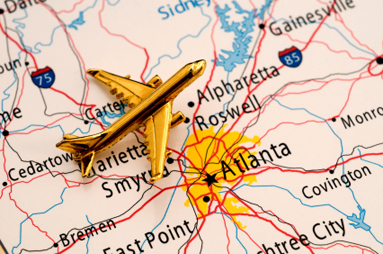 While ATL long term airport parking may be most convenient for some, other forms of airport transportation can sometimes be more cost effective for others. Shuttle services usually charge a flat rate per person which can be affordable for someone taking an extended trip. If you do not live especially far from the airport, a taxi could be pretty inexpensive, especially if you are traveling with a party. 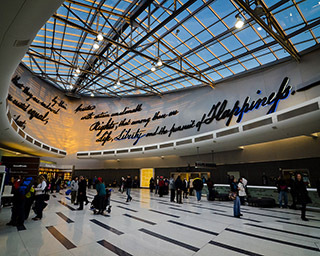 Many travelers at one point or another will experience the process of finding EWR airport parking while going on a trip. Although it is ideal to find a ride to the airport from a friend, it isn’t always possible and other forms of airport transportation won’t make sense for that particular trip. When this is the case, a person may choose to drive their own car to the airport, park it in an airport car parking facility, and pick it up upon returning. Personally driving to the airport has many benefits for the traveler, especially if they find reasonable rates at their airport parking facility. When you drive your own car, transportation both to and from the airport are taken care of so you won’t have to make more arrangements when you return. You also do not have to rely on someone else picking you up on time, a worrisome process for some travelers. Travelers usually have several options within airport grounds as far as where to park. Hourly and short term parking is available in parking structures located right off of the terminals in most airports. Due to the close proximity to the terminals, these structures are ideal for hourly parking, but also offer daily rates that can be very expensive for long term airport parking. For more economical airport parking, there are lots located a short distance away from the terminals that offer lower daily rates. For some larger airports they will have these long term lots as well as even more remote economy airport parking further away. All of these lots will have free shuttle services that run throughout the day so travelers have access to the terminals. Even though the airport economy parking lots are pretty affordable for long term airport parking, many people can save even more money parking in an off-site facility. These facilities are usually run by non-affiliated parking companies that cater to the airport parking customer. Rates are oftentimes cheaper than the lowest rates in the airport, plus customers can choose from many special services. These airport parking companies usually open locations right outside the airport and offer free shuttle services to the terminals. Customers end up enjoying the same convenience as parking in an airport economy lot, but spend less money. At some places, customers can have car services performed while they are away such as an oil change, wash, vacuum, or car detailing. Another reason you may want to look into a non-affiliated airport parking company is so that you can guarantee your parking space. During heavy travel seasons it may be extremely time consuming to find parking in those giant lots inside an airport and sometimes they can be full! Off-site parking companies will let you make airport parking reservations so you know that you’ll have a spot when you arrive. Many of these companies will also offer you airport parking coupons when you reserve ahead or visit their website. If you make travel arrangements through an agent, you can also plan your airport parking simultaneously. These travel agent programs make planning your trip easier and can save you money with discounts and coupons. Philadelphia airport parking (phl airport) is safe, secure, and easy. Making a preflight parking reserving online makes the entire process easier than ever. There are lots of airport parking providers at this airport which all basically give the same service. You will be able to park your car and get a bus or a shuttle straight to the terminal you need. They will help you carry your luggage, do not forget to leave a TIP! Philadelphia Airport has two parking companies offering services: Priority Airport Parking and Winner Airport Valet Parking. Both are open 24 hours and both provide 24 hour security. Going above and beyond the services of one airport lot is what sets them apart. Priority Airport Parking is safe and secure and offers free luggage assistance. It is only 1.9 miles from the airport and keeps shuttle buses running 24 hours. Winner Airport Valet Parking also provides free luggage assistance and will drive you to the airport in your car – no stops – no waiting and pick you up at the airport. The also have a low Valet parking rate for Philadelphia and you can have your car washed or serviced while away. 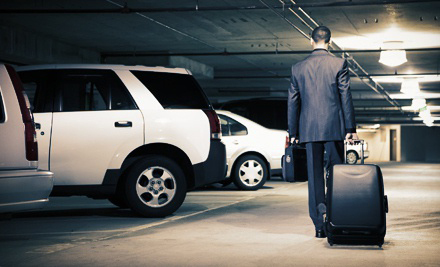 By choosing Philadelphia Airport parking you will save valuable time and money. Locations are close and services extraordinary. You can reserve your spot in advance and it’s very convenient. LAX Airport parking can be made one of the easiest parts of planning your trip. Twelve separate parking companies offer their services so you can choose which company best suits your needs. The more choices you have, the more you are guaranteed a competitive rate. Parking your vehicle at any airport for even a short amount of time can end up costing you more than you would imagine. By utilizing one of twelve parking companies outside of LAX, you will save on average 10% over the price of the airport’s long-term parking lot. All you have to do is choose which company best suits your needs. The sacrifice you make in price does not mean you will be sacrificing service. Each parking company provides it’s own parking options and car care. While all of them offer self-parking, nine also offer valet service to and from your destination terminal. Seven will provide car care while you are away, and five provide indoor parking. 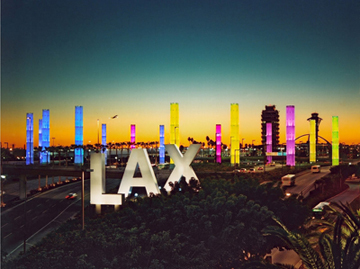 All LAX Airport parking is within five minutes of the airport and free shuttles to and from your terminal are provided. Reserve your spot and save yourself the trouble of finding something last minute. You don’t need to spend a lot to get a lot.